The Rag & Bone tees are very popular and I love the look of a great-fitting basic shirt like the Nicole tee. However, I've never understood why people will pay over $100 for a t-shirt. 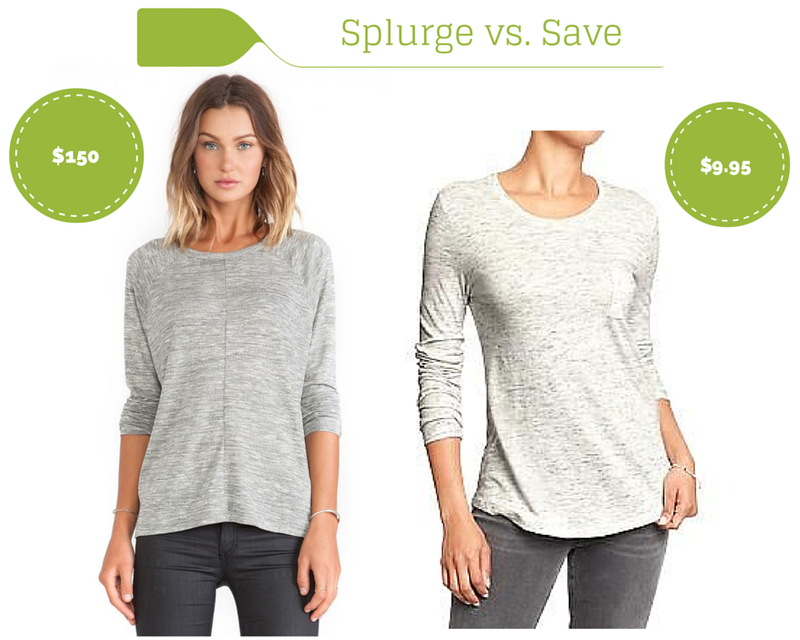 This Old Navy one is a steal for $9.95 and has the same heather gray look and fits a bit loose. The only thing it's missing is the open back...but who wants an open back in a long sleeve shirt anyway?